A major Domino's franchisee is partnering with a drone delivery company to deliver pizza by air. On Wednesday, startup Flirtey and Domino's Pizza Enterprises (which operates Domino's locations in Australia, New Zealand, Belgium, France, The Netherlands, Japan and Germany) debuted the first commercial model for pizza delivery by drone. 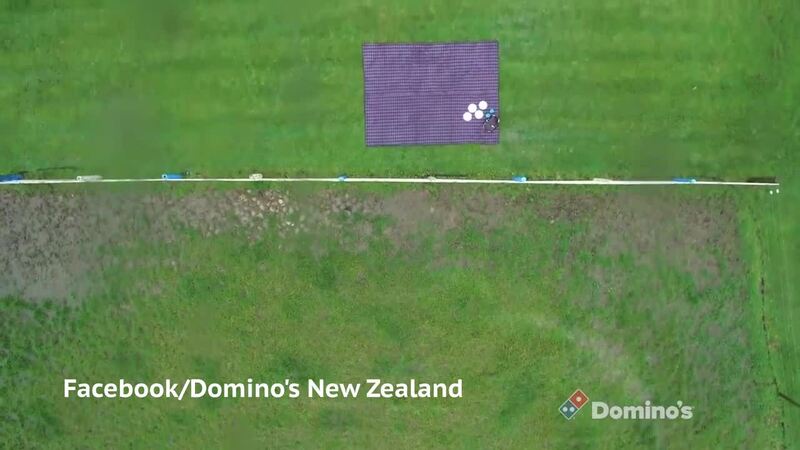 A Domino's location in New Zealand will begin delivering pizzas using drones later this year, with plans to begin using the technology at more of Domino's Pizza Enterprises' 2,000 locations in the future. "Partnering with Flirtey to revolutionize the delivery experience is an achievement that will set our company apart in the minds of customers and change the way delivery is conducted around the world," Domino's Pizza Enterprises' group CEO and managing director Don Meij said in a statement. The drone being used for delivery is made of carbon fiber and aluminum, and features functions such as an the ability to automatically return to Domino's if it loses its GPS signal. This isn't the first time Domino's Pizza Enterprises has utilized high-tech options to speed up delivery. 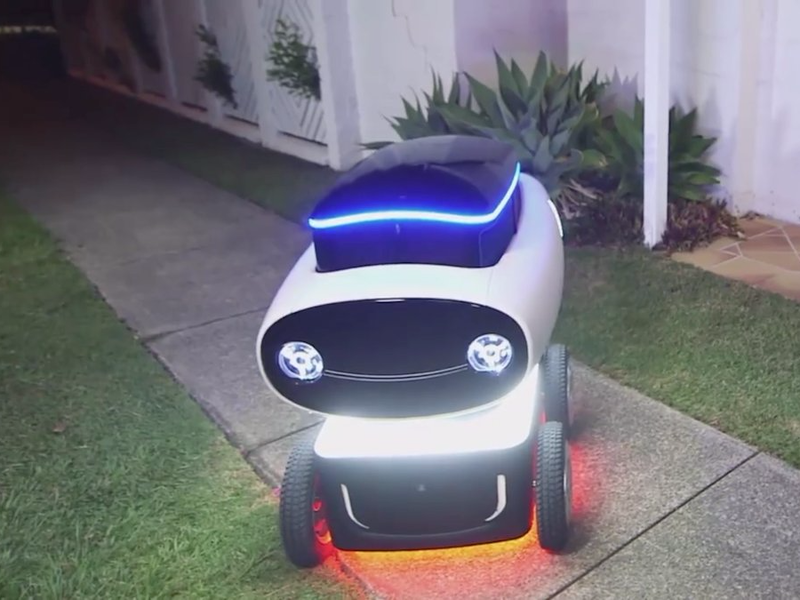 Earlier this year, the company debuted the Domino's Robotic Unit — a self-driving robot used to deliver pizza. While drone delivery isn't the No. 1 priority for most pizza chains, technology is increasingly important in the pizza industry. Digital channels account for roughly half of sales at Domino's, Pizza Hut, and Papa John's sales in the US — making tech an essentialpart of the pizzabusiness in 2016.